How do Carrots Produce Seeds? The Carrot plant (Daucus carota L.) is biennial and develops, in its second year, 'umbels' which are groups of flowers which produce seeds. D. carota var sativus is a herbaceous biennial plant grown as an annual. In the first year, seedlings emerge with two strap-like leaves which are the cotyledons, followed by rosettes of doubly compound leaves arising from the crown. From the hypocotyl, a tap root develops. Initially, the plant produces top growth, which supplies carbohydrates to the swelling hypocotyl. High temperatures increase respiration in the leaves which reduces colour development and sugar accumulation. Low temperature initiates flower development and reduces carbohydrate accumulation in the hypocotyl. Most often, the plant will not initiate a flower head until the second year of growth and a chilling period. A carrot may have more than 1000 flowers. The outer flowers mature first, though the flowers in the core have the most fertile pollen. Each flower has five sepals, five stamens and two carpels. Each carpel has two ovules. Because the pollen and ova of a single perfect flower are fertile at different times, the carrot is not normally a self-pollinator. The inflorescence is an umbel, with individual flowers maturing at staggering intervals. Cross-pollination is essential for seed development. The Apiaceae family derives its name from its affinity for attracting bees, which are the primary pollinator. D. carota seeds are tiny, and are covered with a fleshy mericarp that must be removed prior to seeding. Due to cross-pollination, variability is great in plants. Flowering in biennials is stimulated upon vernalization (a period of extended exposure to low temperatures, usually experienced under winter conditions). Vernalization is a physiological response of phytohormones present in shoot apical meristems; in a carrot the shoot apical meristem is located in the layer of cells of the compressed stem found at the interface between the carrot root and the interior of the rosette of leaves (the tissues usually cut off before eating). When the cold period is satisfied in a biennial, a cascade of events occur, leading to flowering. Carrots remain in a juvenile non-flowering form until subjected to cold exposure. Carrots planted in last year’s autumn garden and over wintered are still in their juvenile stage of growth and the root is still edible; but soon, a spring flush of shoot growth will occur in tissues that have been induced to flower commencing the irreversible transition from the juvenile (vegetative) edible stage to reproductive maturation (flowering). The birds nest shaped fruit cluster has a remarkable mechanism for seed dispersal. The stalks are hygroscopic (readily taking up and retaining moisture), so that when conditions are dry and suitable for dispersal, they bend outward, exposing the fruits to wind and animals;when conditions are wet, they bend inwards, forming the familiar birds nest structure, which protects the seeds. Classical studies conducted in 1937 by M. K. Chailakhyan proposed that the floral stimulus is a hormone called “florigen.” A single compound has never been isolated; however, subsequent numerous physiological studies of floral transitioning have identified several putative signals that stimulate flowering: the carbohydrate sucrose and the plant hormones cytokinin and gibberellin. In response to cold exposure, these compounds are translocated from leaves to the rosette of the shoot apical meristem. Seems science is never simple. In science, when one question is answered, other facets become exposed, leading to further research. This is the fun and excitement of science. The story of flowering in carrot is a little more complicated than just vernalization of carrots, the cold-induced flowering in response to hormonal stimuli. Genetics of an organism must be also considered. Seeds are formed from carpels. 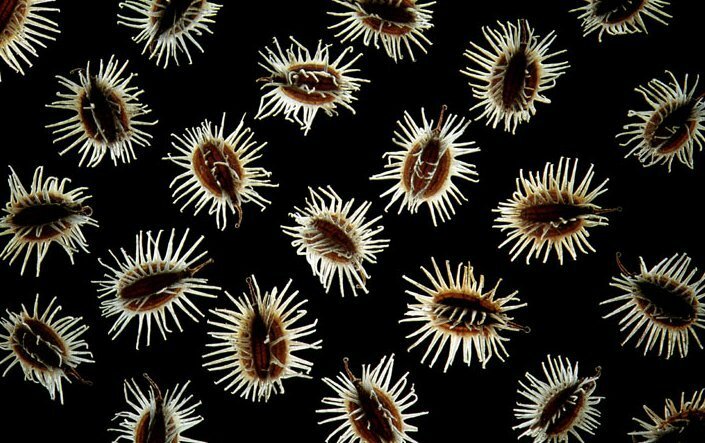 They are tiny and covered with a spiny, hooked, and slightly curved mericarp. The mericarp contains a characteristic oil which inhibits seed germination, requiring the removal of the mericarp before planting. Seeds are highly variable due to cross-pollination and have undergone extensive breeding programs to increase uniformity. Hybridization, however, has not produced consistent results. Seed development and vigor are determined by the conditions under which they are formed. A larger seed (embryo) will have a more rapid emergence and produce a stronger seedling. This is important in that the seed is slow to germinate and the young seedling is slow in the initial growth phase. There are approximately 23,000 seeds per ounce. Read this informative article in the Wisconsin Magazine for Life Sciences on how to make a purple carrot here. It also explains how the breeders have to cross several times over many years to tease out favourable traits and create a carrot with the desired qualities (eg colour, disease resistance etc). Carrot seeds are not true seeds in a botanical sense but are dry fruits called 'schizocarps'. The Carrot is not a fruit in the common understanding, so there are no seeds inside or on the carrot. The part of the carrot that you eat grows in the ground, usually with the wide end of the carrot just at the surface of the soil. The round mark you can see on that end of the carrot is where the leaves used to be - a big soft bunch of deep green leaves that look a bit like a fern. Then the carrot is ready, it sends up a tall stem, which produces flowers, and eventually seeds. 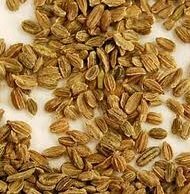 The seeds are very small, on average between 1 and mm in length and brownish is colour. Depending on the variety there are approximately 8000 seeds in half an ounce of seeds, so there are approximately 250,000 in a pound, roughly 2500 would fill a teaspoon. The birds nest shaped fruit cluster of carrot has a remarkable mechanism for seed dispersal. The stalks are hygroscopic (readily taking up and retaining moisture) so that when conditions are dry and suitable for seed dispersal, they bend outwards exposing the fruits to wind and animals; when conditions are wet, they bend inwards forming the familiar nest structure which protects the seeds. By using pollen from one to fertilise the flowers of the other, the plant breeder and seed specialist aims to produce carrots with distinctive characteristics which are appropriate to the market. For example long and thin, deeper colour and consistency, or resistance to carrot fly, drought etc. The resultant carrot aims to be just what the farmer wants, but there are usually two problems for the consumer - The carrot may not have taste (low on the farmers list of priorities, because you can't cook and taste before you buy!!) and in the vast majority of cases, F1 hybrids are sterile. Production of carrot seeds is a two-year project making it much more difficult than seed production of annual crops. Sound roots must first be produced (first year), these roots must be either harvested and carefully stored in a refrigerator or left in the field (if your winters are not too severe), these cold-treated (vernalized) roots must be grown and supplied with pollinating insects when flowering, and seed harvested. Carrot seed must be produced where no wild carrot (Queen Anne’s Lace) is growing. Grow plants at the same time of year and the same way you usually would. Weak or diseased plants are subject to storage loss during vernalization and they set few seeds. Plants with pencil-sized roots may be large enough, but larger roots are preferable. Carrots require 6 to 8 weeks cold treatment (2 to 5°C) for floral induction. Cool growing conditions can reduce the cold storage requirement. Roots can be vernalized in two ways. If carrots are a summer crop in your area, you can simply leave roots in the field over your winter season if your climate provides at least 10 weeks of temperatures below 15°C but where temperatures are not so cold that roots will freeze to death. Early in the growing season plants should be thinned to at least 5 cm apart. Dead or dying leaves must be removed and tops can be cut back at your usual harvest time to 5 cm to reduce transpiration and covered with mulch if necessary. When warm weather resumes, remove mulch if necessary and leaves will regrow and after several weeks a seed stalk will appear. This is the "seed-to-seed" method of carrot seed production. Losses are often very high with this method and off-types of roots cannot be eliminated since roots are not harvested and visually examined. The "root-to-seed" method is more reliable. Harvest roots when you usually would and discard off types. Trim tops back to 2 to 4 cm, air dry until no surface moisture remains, pack in paper bags with an equal volume of wood shavings, and place paper bags in closed polyethylene bags at 2-5°C. Puncture plastic bags after several weeks when water droplets accumulate inside the polyethylene film. Better storage survival is realized if prior to refrigeration, lateral and fibrous roots are removed, soil is removed by washing gently, and senescing leaves are removed. Even with these precautions carrots are often very susceptible to pathogen infection during storage. In commercial production, roots are dipped in fungicide before vernalization but this practice is not advised without extreme caution. For the "root-to-seed" method, plant vernalized roots when you would plant seed in the spring, taking care to keep plants well-watered but not in standing water. Seed stalk development will be evident in 4 to 6 weeks. Control of microbial (Alternaria, Cercospora, aster yellows, motley dwarf) and insect pests (aphids, spider mites, lygus bugs) is essential to assure seed production. It is very difficult to produce carrot seed where warm humid climates favor microbial growth. Note: Carrot seed can only be produced true to type if wild carrot (Queen Anne’s Lace) is not growing nearby since wild carrot will intercross and yield white-rooted plants. Pollination is best performed by introducing bees or flies for pollen transfer during the period of receptivity. Natural populations of bees and other insects will sometimes be adequate. As an alternative, pollen movement is possible by hand or brush but seed set will often be low. Within 4 to 6 weeks after pollination the developing seed turns brown. Harvest (before the seed shatters) into paper bags to dry completely. Late-season rains can reduce seed yield drastically. Remove spines from dry seed by rubbing. Seed is now ready to plant since carrot has no seed dormancy. Store dry seed refrigerated in a moisture-proof container. Carrot is an outcrossing, insect-pollinated diploid (2n = 2x = 18) species. It typically does not flower during the vegetative phase of its life cycle when the storage root forms and grows for 60 to 150 days (or more) depending upon environment andgenotype. Early plant growth is slow as seedlings are established but then growth israpid until interplant competition and seasonal climatic changes to suboptimal temperature limit growth (Rubatzky et al.. 1999). As a biennial crop, this vegetative phase of carrot life cycle is essential to successful crop production, but carrot breeders require flowering plants. Cool temperature is the primary stimulus that initiates carrot flowering so that plants exposed to cold weather in the field, or harvested and refrigerated, will make the transition from vegetative phase and initiate flowering. The amount of cold exposure necessary for this transition varies widely across diverse germplasm, with varieties developed for warmer climates generally requiring less cold before flowering begins. Carrots can be handled as an annual crop in breeding programs, typically raising a winter root crop in warmer production areas, harvesting and vernalising that crop at least 6 weeks in refrigerated storage, and then producing a summer seed crop in a cooler area to complete the cycle within one year. Carrot flowers are protandrous (a plant, in which the male reproductive organs mature before the female reproductive organs) and usually perfect, forming at most two seeds per flower. In addition to hermaphroditic flowers, there are also male-only flowers that occur at increased incidence with a rise in the order of umbels. A single carrot plant typically produces several hundred to several thousand flowers on multiple umbels over a few weeks (Rubatzky et al., 1999). The big difference in vegetable seeds is whether they are heirlooms (aka heritage) or hybrids. Heirloom seeds are those that are open-pollinated, a variety that will breed ‘true to type’ from one generation to the next. Seeds from heirloom vegetables are true to type, meaning that you can save the seed from a certain plant and it will carry their parents’ genetic material and plants grown from them will bear their characteristics again next season. F1 hybrid seeds refers to the selective breeding of a plant by cross pollinating two different parent plant varieties, both of which contribute genetically to the offspring. In genetics, the term is an abbreviation for Filial 1 – literally “first children.” Seeds saved from F1 hybrids will not normally produce a plant with the characteristics of the parent. Hybrid vegetable seeds are created by artificially crossing two or more varieties of a certain plant. Hybrid vegetables are what one typically sees being sold in the your local garden store, those rows of bright, uniform carrots are probably grown from hybrid seeds. One big disadvantage with hybrids is that you cannot save the seed: resulting seeds may be either sterile or produce a plant totally unlike its original. Although hybrid plants produce fruit that ripens at the same time and may be more resistant to pests or diseases, they’re not selected for their taste. They are typically selected for appearance and shelf life. Hybrid seeds are typically more expensive than heirlooms, too. Home gardeners will likely be more satisfied with heirloom vegetable varsities for the flavour they deliver, and the sheer variety of vegetable types that are available. Blue potatoes, purple carrots, and orange tomatoes are not unusual among heirloom varieties. And perhaps best of all is that gardeners can save the seed from their heirloom vegetable plants, and continue to grow them year after year, and pass them on the family and friends well into the future. The same simply cannot be said for hybrids. To learn more about saving seed and heirloom vegetables, visit Seed Savers Exchange. Read more about the difference between hybrid and non hybrid seeds here. Worldwide gene banks hold around 5,600 varieties; this includes USDA’s North Central Regional Plant Station (800 cultivars); The Russian Vavilov Institute (1000 cultivars); The UK, France, the Netherlands and Japan also hold significant collections. The 1600+ accessions in the UK Genetic Resources Unit carrot collection include varieties, landraces and related wild species. The collection is used by researchers and breeders from around the world to understand trait genetics and introduce novel material into breeding programmes. The Umbellifer database was established at Wellesbourne (Warwick UK) following the first meeting of a European carrot group under the auspices of the ECPGR in Kraków, Poland in 1997 and was updated by the Umbellifer Working Group in 2013. 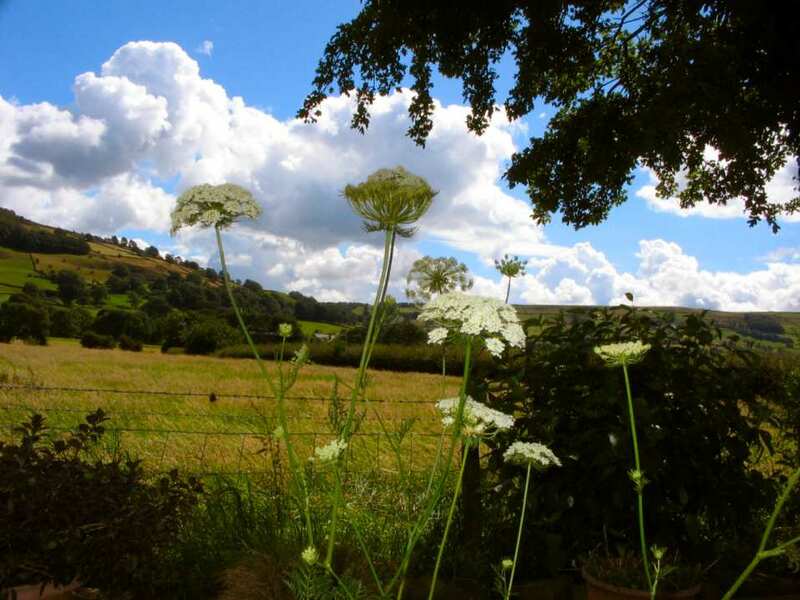 The database includes nine genera including Anethum L. (dill), Apium L. (celery), Carum L. (caraway), Chaerophyllum L. (chervil), Coriandrum L. (coriander), Daucus L. (carrot), Foeniculum Miller (fennel), Pastinaca L. (parsnip), and Petroselinum Hoffm. (parsley). 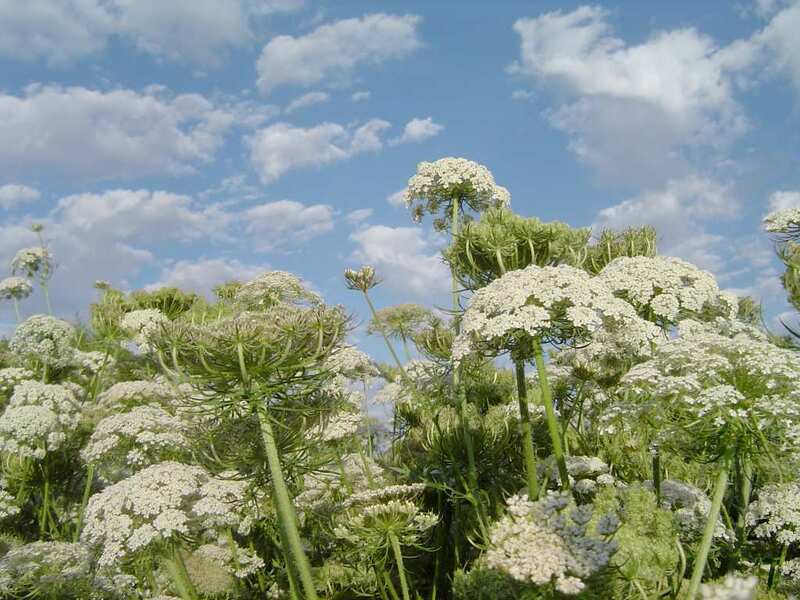 The European Umbellifer DataBase (EUDB) was updated using data from EURISCO and national programmes. The data are available in Microsoft Excel format using the EURISCO Multi-crop Passport Descriptors. The database is maintained by the Warwick GRU and available for viewing/download here. 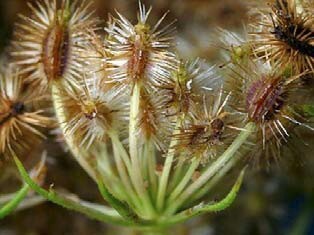 Carrot seeds do not mature uniformly within a single plant. Seed maturation depends on the positions of flowers on the maternal plant, from which seeds are originated. Flowers and seeds in different orders (primary, secondary and tertiary) of umbels exhibit various levels of maturity. Each umbel consists of multiple 'rays', groups of flowers. Maturity of rays depends on their positions (outer, middle and inner) in an umbel, with the outer maturing first. The birds-nest-shaped fruit cluster (umbel) of the carrot has a remarkable mechanism for seed dispersal. 'lThe stalks are hygroscopic, so that when conditions are dry and suitable for seed dispersal they bend outward, exposing the fruits to wind and animals; when conditions are wet, they bend inwards, forming the familiar bird’s nest structure, which protects the seeds. Carrots are biennial, flowering in their second year of growth. In areas with mild winters, leave your carrots in the ground, mulching them heavily. The foliage will die back in autumn, but will then re-sprout and start to flower in the spring. In colder areas, dig up your carrots in the autumn, and select the best coloured and shaped roots. Twist off the foliage, and store the roots in a box of dry sand in a frost free place, making sure that they don't touch. In spring, replant the roots, and they will re-sprout and flower. If you want to maintain a carrot variety effectively, you really need to save seed from at least 40 good roots to maintain good genetic diversity. If you have too small a genetic pool, you will end up with small, poor quality roots in a very few generations. Carrots grow into big plants waist high or taller, producing successive branches with large flat umbels of flowers. They are insect pollinated, and need to be isolated from other flowering carrot varieties by at least 500m in an open field situation. This is not normally a big problem, since few people let their carrots go to seed. However, they will cross with wild carrot (Queen Anne's Lace), giving thin white useless roots. As with all insect pollinated crops, barriers such as houses, tall hedges and other high crops can affect insect flight paths drastically, so you don't necessarily need to eliminate all Queen Anne's Lace within a 1/2 km radius; but do watch out for any white roots in subsequent generations and get rid of them. To harvest your carrot seed, keep an eye on the umbels of flowers, and cut them off with secateurs as they start to turn brown and dry. Carefully cut the heads and place them in a small paper bag and then leave them alone until the drying is complete. Small plastic containers or glass jars can also be used, but be careful. The same airtight lid that will protect your dried seeds will also hold the moisture of the not quite dry seed heads and that can lead to the seeds going mouldy. Store your unlidded containers in a safe dry place. Seal once fully dry. If you have plenty of plants, just save seed from the first and second umbels of flowers to appear on each plant, as these will give the biggest and best seed. Dry the seed heads further inside, and then rub them between your hands or in a sieve to separate them. You will notice that the seeds have a 'beard' which is removed in commercial seed to make them easier to pack. You can sieve the seeds further to remove more of the chaff, but there is no need to get the seed completely clean - just sow slightly more thickly to allow for the chaff mixed in. Dried carrot seed is relatively short lived, but if it is stored somewhere cool and dry, it should give good germination for 3 years. Seeds can be safely stored for at least three years. Place seeds in jars, manila envelopes, cloth or mesh bags, plastic containers, or foil envelopes. The best containers are air-tight, such as a sealed glass jar, metal can, or foil envelope. Protect seed from sunlight. Store seeds in a cool (below 15 °C is ideal), dry location. Place the seeds in a refrigerator for long term storage. For short-term storage, keep the seeds in a cool, shady and dry place. What do seeds contain and how do they work? 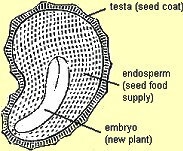 A seed is the product of a fertilised ovule (egg). It is the means by which the progeny of a plant can be spread. The seed contains the embryo from which a new plant will grow. The seed contains a supply of food called the endosperm that is used by the new plant to develop. The whole seed is covered in a seed coat known as the testa. Seeds are found in a great variety of types. The testa protects the contents of the seed. For the seed to grow the testa needs to split. The seed imbibes water which causes it to swell and split open the testa. The seed coat varies between different types of seed, which in turn affects, the uptake of water. Some seed coats are very thick and need to go through a process of scarification to allow absorption of water. In the wild this would occur by the gnawing actions of animals, passing through an animal's digestive tract or abrasion by a rocky surface. In the artificial environment of gardening this process is imitated by nicking the seed coat with a sharp knife or rubbing with sandpaper. If a seed has a thin coat the presence of light can either encourage or inhibit seed growth. Smaller seeds tend to require light for germination. Leaves A tight rosette of leaves arises from the crown after the emergence of the characteristic cotyledonary leaves. Two kinds of leaves are formed. The lower leaves are pinnate and linear or lanceolet, and are fine and lacy in appearance. The upper leaves are smaller and less divided. Leaves in the second year of growth arise from the crown and along the elongated stem. Flower Vernalization of the plant or seed induces formation of the inflorescence. Vernalization period is up to 6 to 8 weeks at temperatures below 50°F. 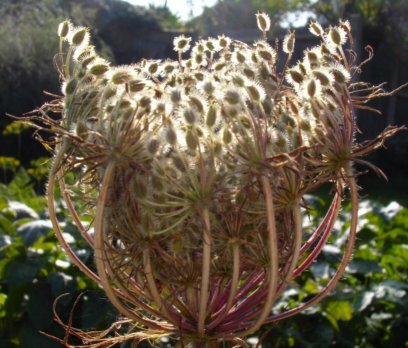 Several cycles of flowering occur, producing umbel shaped inflorescence. The first inflorescence is the largest, and is termed the king umbel, followed by the queen and other secondary umbels. The white flowers are perfect, and require cross-pollination for seed set. Male sterile hybrids are often used as a seed source to decrease variability. This was the first printed book dedicated to growing vegetables and urged that more carrots should be grown, because “forraine nations” like Holland were reaping the benefit from their lucrative export trade. This was the only book before 1773 to give detailed instructions on raising seed on a commercial scale. Mr Gardiner was a draper from Shrewsbury and saved the lives of many poor people during a famine by supplying them with carrots. He considered that the “large yellow Carret and the great shorte yellow Carret were the best and fairest rootes” then grown in his native County of Salop (Shropshire, UK). "Then have you nothing to doe with them untill about the last of Aprill, at which time they will bee growne about a yard in height: then you have need to take care of them, for the winde will easily breake them by the ground: then must you prepare some kinde of packe-threed, or lynen threed to set about them as a girdle, about two foote high from the earth as neede shall require by the growing of the branches: gird some higher then other some. Then shortly after you must have stakes in a readines, and as the Carrets must stand one against thc other in the bed: so likewise the stakes must stand one against the other, to everye foure Carrets two stakes. The stakes must bee a yard and a half above thc ground, and a sure holde within the earth for danger ofwinde: then must you prepare packe-threed or other threed to goe from stake to stake all the length of the bed, one course of lyrics must be about two foote high, and another course of lynes must bee neere the top of the stakes, so that there must be two courses of lynes on the utter side of the stakes on both sides the bed. Then must you have crosse lynes . . . . as the Carrets branches doc grow they must be somewhat tended to keepe them in good order within the lynes: this being done about the last of August, the Carret seedes will begin to bee ripe, and as they doe change to some browne colour, so to bee cut from time to time, untill the last bee sufficiently ripe about the first of October: Then place the Carret seedes as you doe cut them on a Chamber floore to drie, & when they be drie, beate the secdes out with small staves, or best with tbe edge of a lath, and cleanse them from the composte or refuse (as you finde best by experience) with ridle and sive." Even at this early date it was recognised how valuable seed selection was, choosing for size shape and colour - vVery much the same as today, with flavour not high on the list! Abbott & Cobb Nickerson Zwaan Terranova (Australia) Ferry-Morse Seed Co.
Thompson & Morgan is a good supplier for the home gardener and have a tremendous variety of carrot seeds for you to try. See photos of common varieties supplied by Thompson and Morgan the leading seed suppliers in the US and UK. Click here. Black Carrots - see Carrot Museum Black Carrot page.